2015 saw many regions of Mexico experiencing below average wind speeds (Image courtesy of Shutterstock). Many regions of Mexico experienced wind speeds up to 20% below average throughout 2015, according to performance maps released by Vaisala. These departures from mean wind speed highlight the importance of gaining a deep understanding of how much seasonal and year-to-year variability is possible at a location prior to major investment, says the company. 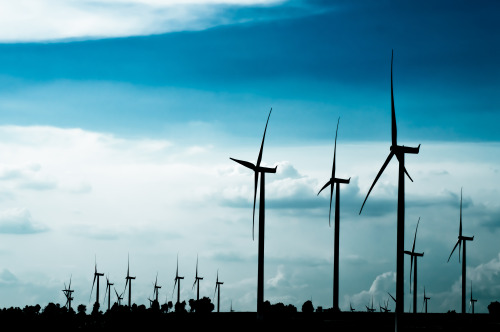 This is critical as Mexico eyes significant wind energy expansion, aiming to quadruple its wind capacity and add as much as 10 GW in a three-year period. Vaisala claims that, since wind speeds directly affect wind production, an increase or decrease of 5% can have a 5-15% impact on power generation. The company believes this illustrates a requirement for Mexican wind energy developers and operators to stay on top of resource assessment and due diligence processes throughout the project lifecycle. Vaisala’s 2015 Mexico Wind Performance analysis reveals that the well-publicized U.S. wind drought of early 2015, which hit wind farms in California and Texas particularly hard, also had a far-reaching effect on much of northern and central Mexico. First quarter wind speeds in this region were 5-20% below normal. This anomaly was related to a large blocking high-pressure system across much of western North America, which drove storm tracks into central Canada. The trend weakened in the second and third quarter, but wind speeds remained below average. The final quarter of the year saw a shift in weather patterns with elevated wind speeds across much of northwestern Mexico, which Vaisala states was consistent with the strong El Niño climate signal as well as some hurricane activity in the region. Meanwhile, the Oaxacan coast, where a vast majority of operational projects are located, suffered a lesser impact, but still saw high levels of month-to-month variability. This region in particular is of key strategic importance to international wind energy investors. It boasts one of the strongest wind resources in the country due to unique topography that creates a natural wind funnel through a break in the Sierra Madre mountain ranges to the North and South for air traveling from North America and the Caribbean. According to Vaisala, last year this area saw above normal wind speeds in the first quarter and relatively neutral wind trends the remainder of the year. However, the quarterly maps do not reveal dramatic monthly changes in the wind resource, which saw shifts in wind speeds from 5% below normal to over 20% above normal from one month to the next. The company claimsThese large swings are by no means isolated events and should be well understood prior to investment. Vaisala’s study underlines a growing need for developers and operators to better understand expected performance variability across their portfolios.